A leader of the union representing thousands of Manitoba Hydro employees says the corporation's voluntary departure program is hurting service. The Crown corporation disagrees. A leader of the union representing thousands of Manitoba Hydro employees says the corporation's voluntary departure program is hurting service, but the Crown corporation disagrees. Manitoba Hydro implemented the program last year, resulting in the loss of just over 800 employees who retired or left the company. 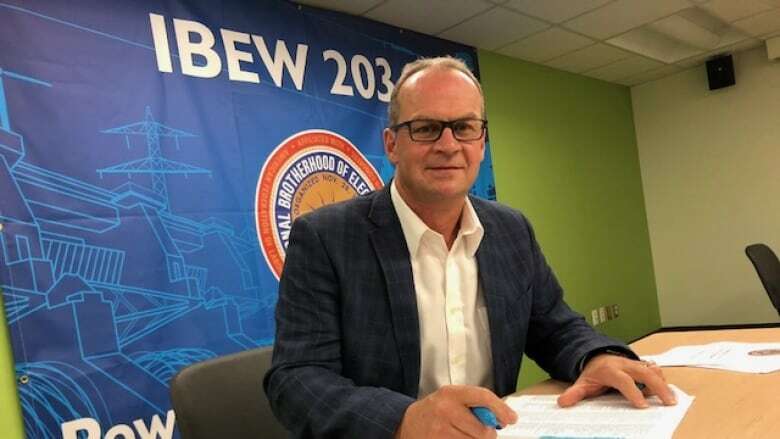 "We think that has crippled our ability to do a lot of that work, and Manitoba Hydro doesn't appear to have any plans to replace any of those operators," said Mike Velie, business manager of local 2034 of the International Brotherhood of Electrical Workers. The local represents 2,700 field employees. "There's definitely a shortage of operator-drivers," Velie said, noting the buyouts have reduced the company's on-call operator drivers to three from 12, and the loss of 31 operator drivers overall. "Common sense would tell you that you can't do more work with fewer people," he said. Two outages that happened in Winnipeg this week were characterized by delays and the appointment of an outside contractor to do the work, the latter something never seen prior to the buyouts, Velie says. The first outage of concern was due to a broken pole in St. James on July 7. "It was hours and hours of people waiting until they were able to secure somebody from outside of the corporation to be able to come and assist, at significant cost to Manitoba's rate payers," Velie said. But according to Manitoba Hydro, the error was clerical: The on-call list of digger operators hadn't been updated. "Efforts to reach other digger operators were unsuccessful so after 2.5 hours a contractor was contacted to do the work. It was an administrative error," wrote Anthonie Koop, a spokesperson for Manitoba Hydro, adding the on-call list has been since been updated. The second incident of concern to the union happened on Thursday in Waverley at 4:45 a.m., where another outage caused a delay in service. According to Velie, the on-call operator driver had maxed out his hours and wasn't able to respond. But Manitoba Hydro counters that the majority of customers affected had their service restored within two hours, and an operator-driver wasn't required until 10:30 a.m. for the 225 customers remaining "when all switching, isolation and underground clearances from all utilities had been obtained. At that time, efforts to replace the pole began," Koop said. Velie says rather than hire an outside contractor, which costs more money, Hydro could better utilize the staff it has, and dip into other departments, such as construction, for after-hours digger operators. Three hundred IBEW employees were lost in the buyouts, he says, many of which resulted in the loss of core, rather than administrative service. "They aren't able to access that manpower in a timely manner," he said. "They need to hire the staff." "There is no need to hire more workers because there is no shortage," countered Koop. Regarldless, Velie says, more workers will be necessary to replace 117,000 "rotten poles" in Winnipeg. "If Manitoba Hydro is concerned about hiring full-time employees, we have several opportunities in our collective agreement to hire part-time, term employees, project employees, so they can be hired for this duration of time," he said. Koop says those poles were put in place between 1945 and 1960, and will be considered to be in "poor condition" in 2032 if not replaced.